Turkey hunting characterises the arrival of spring season. Before you head to the market to fulfil your checklist, here we are with a propitious turkey hunting gear list that will ease your experience and help you to enjoy a successful hunt. As adventurous as it can be, turkey hunting demands the usage of perfect gears for its hunters, so that they can have a lucky day in the spring woods. Though an increased population of the gobbler’s marks the season, these birds are incredibly cautious and compel their hunters to be on the edge of their seat. In such a scenario, it is crucial to well-equip yourselves, so that you don't miss a fantastic catch. Thus, before you head to the market to fulfil your checklist, here we are with a propitious turkey hunting gear list that will ease your experience and help you to enjoy a successful hunt. While talking about turkey hunting gears, it is highly subjective and depends on the needs and usages of the hunter. However, there are a handful of gears that is necessary for trapping those strutters such as hunt calls, vest, shotguns or camo patterns. So without any further ado, let's discuss some of the essential gears that will aid any hunter to possess one of the toms on their shoulders on their way back home. - Camo gloves: Came gloves are an essential part of the clothing as it provides perfect silhouette in your surrounding. A camo glove must be lightweight and stretchable so that it permits unrestricted palm actions of the hunter. Nowadays, the market is flooded with gloves with enhanced designs and breathable composition. Some of these gloves are fashioned to have small outlets or pockets in them that allow the hunter to carry diaphragm calls in those sacs. Gloves are designed in a way that permits the use of cell phones or cameras. Thus, wisely opt for camo gloves that provide a solid grip along with some convenience of turkey hunting. - Hunting face mask: A face mask is a significant part of a hunter's camouflage gear. It ensures that the hunter can escape from the watchful sight of its target. Apart from this, a mask must be breathable and capable enough to mimic its surroundings. These masks not only conceal the hunter but also protect them from harmful rays as well as repel insects and bugs. - Camo Vest: Any experienced hunter can undoubtedly explain the tremendous advantages of a camo vest on a hunting ground. Not only it acts as a masking shield for the user, the ample pockets and attached seat easily qualifies a vest as the most important aspect of turkey hunting. Hunting these birds can be quite long and tiring. Thus an assigned seat with a vest provides a comfortable experience to the hunter. 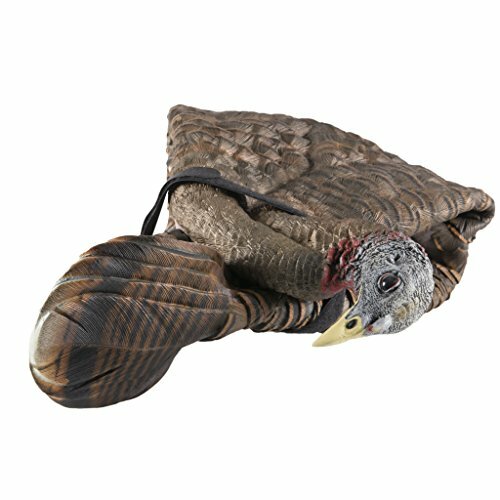 Ideally, the best turkey hunting vestwith a seat must be lightweight, spacious and comfortable. - Camo suit: A camo suit must be comfortable and tough at the same time. Ideally, the shirt and the trousers are of the same pattern, that can beautifully mimic the hunting ground, Turkeys are paranoid creatures that are scared at the slightest disturbance near them. Thus a camo suit with realistic patterns or leafy designs allows the hunter to hide and successfully hunt these gobblers. Moreover, a camo suit must be breathable and sweat-absorbent to allow comfortable hunting. 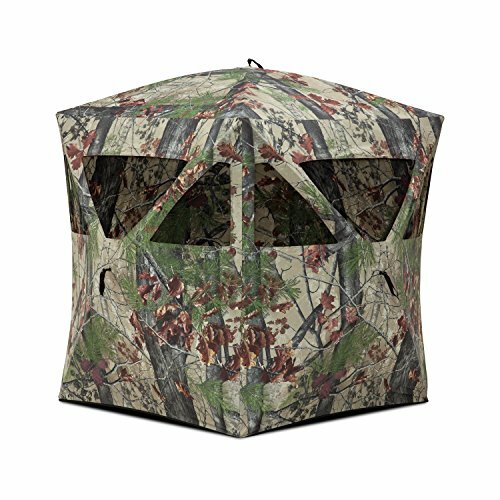 Hunting ground blinds amplify the disguise and comfort of the hunter. These blinds can be extremely useful to spend the long hours of turkey hunting. Bow hunters usually resort to blinds so that they can conceal their movements while using the weapon. However, a lot of shotgun hunters also opt for the use of ground blinds that allow them to move and adjust their guns easily. Hunting blinds enable the hunter to bring their kids along with them to the ground. More specifically, it is difficult for kids to remain still or focus for long hours; hence blinds can be effectively used to hide their hustle and bustle. 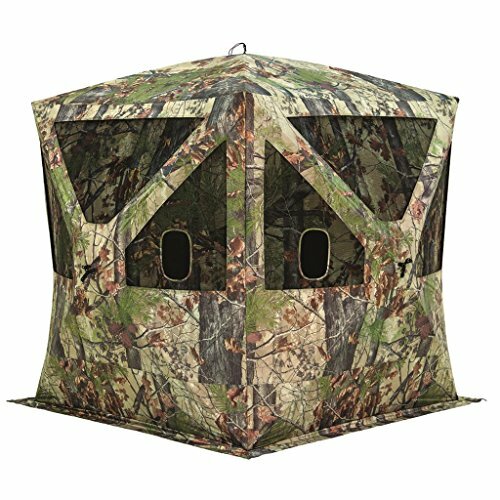 - Camouflage pattern: Ground blinds should blend perfectly with the surrounding so that they can stay out of sight of those watchful birds. Since blinds occupy ample space, if the pattern does not match with the hunting ground, they can be easily seen from a distant. Thus, while opting for a blind, always chose a camouflage pattern that can deceive its presence on the ground. 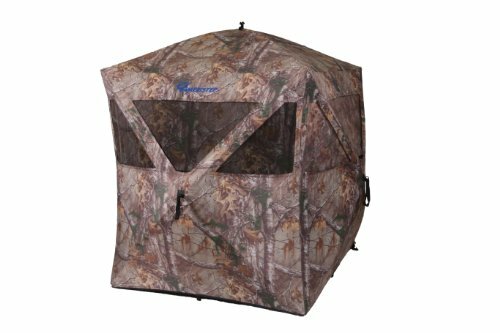 - Design: A blind should be roomy enough to allow the hunter's moderate movements. Moreover, if you ought to bring a companion along with you, opt for a blind that permits a comfortable stay for both of you. Remember to choose a blind that does not have noisy Velcro outlets unless you want to scare away your target. - Weather Protection: Turkey hunting is widely popular in spring, but there is a diverse craze for rainy day gobblers too. Thus, choose a blind that is tough enough to withstand any weather, i.e. rains or winds etc. Moreover, the blind should have proper ventilation for air to pass in and out. Apart from these, look for a material that can protect you from harmful rays of the sun during those long hours of turkey hunting. Earlier hunters used the same variation of guns for hunting a gobbler that they used to hunt down other animals like deer, duck etc. However, with the increased popularity of turkey hunting, some guns are exclusively designed to kill gobblers on hunting grounds. The best shot size for turkey hunting is usually considered to be 5s shot. However, a lot more physics is involved in it. A heavier shot that has a higher mass and incredible energy can penetrate as far as 40 yards to hit down the gobbler. Since spring is marked with bushy surroundings and shady woods, a shot must be strong enough to pass through all the obstruction and hit its target point. 4s are considered for optimal for 40 yards shot. Hunters who have tried turkey hunting with 20 gauge, consider it to be a fun experience, Mainly because this variant is light-weight with a smaller barrel and it applies a comparatively soft kick back. Although the new variants of 20 gauge choke have gained popularity, earlier it was considered to deliver terrible results. But with the new heavy shot gauge shells, a 20 gauge can cleanly target a hunt at a distance as far as 40 yards. Hunt calls are an essential part of the turkey hunting gear list. Although hunt calls are dependent on various factors like the gender of the birds, their habitat and their purpose for calling; it is essential to trace those toms down. Usually, hunters use these calls at different paces, such as initially they call the gobblers at a higher frequency, but once the target reciprocates back the hunter must increase the gap between those calls. Friction turkey call: These calls are one of these most natural instruments that can be used by beginners or intermediate turkey hunters. They are widely known as box calls or push calls. They are customised using petrified wood and can make a variety of sounds to attract the gobblers. Locator turkey call: Locator calls are used by nearly all the hunters in the ground. Insignificant of box calls or diaphragm call, these calls are used to trace the turkeys. These can sound like an owl, woodpecker or hen and a tom (if present) will undoubtedly respond to these calls. These calls are used by the hunter to locate their hunt ground before any setup. Diaphragm turkey call: These calls are small in size and can be carried easily in tiny vest pockets; the market is flooded with different types of diaphragm call, mainly because it is cheap, portable and useful. However, a hunter requires time to gain skill over mouth or diaphragm call. Experts usually opt for such hunt calls. Depending on the hunt grounds and the gobbler's response, a hunter must choose amongst these versatile options. Ideally, box calls or mouth calls find their way in the turkey hunting gear for beginners. However, it is important to remember that you must mimic the bird, not your tutor. Hunt calls are readily available in the market, and you must purchase one before you set your foot in the hunting ground. Nowadays, vests or even gloves have pockets to allow quick access to them. Earlier there was a restricted use of decoys mainly because of the unrealistic and cheap designs of the product. Nevertheless, at present decoys have an inevitable usage while turkey hunting. They play a significant role in attracting those gobblers near the target point, which otherwise are timid enough to walk closer to open ground. Decoys are an indispensable part of the turkey hunting gear list. Nowadays, the design and shape of these products are lifelike enough to fool the gobblers in the field. Moreover, they are budget-friendly and versatile enough to look like one of their own breed. 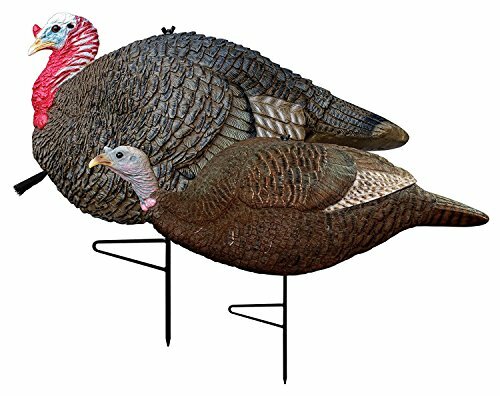 Apart from a decoy, you can also carry a turkey decoy stake to stabilise the bait in its position during rain or winds. This gear is essential because in the bird manage to identify the fake creature on the ground; it's never going to return. 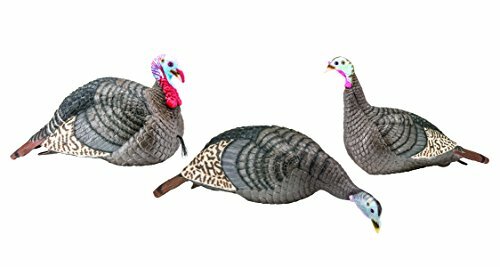 Thus, choose a budget-friendly decoy with realistic feather patterns and design, to lay a successful trap for your prey. Knee pad or folding seat. Toilet paper or wet wipes. These are some of the primary products that you might need in the field. However, hunters also carry an extra pair of boots, or shirts etc, as per their requirements and experience. Hence, you must create a turkey hunting checklist months before the arrival of hunting season, so that you are pre-equipped to deal with those gobblers. Turkey hunting is undoubtedly one of the most adventurous sports of the season. Spring is showered with turkeys gobbling around in fields or woods. This lures a lot of hunters to go out in the field and catch their best shot. However, a good hunt demands proper preparation. Thus hunters must gear themselves up prior to the arrival of the season to catch these birds as well to compete with all the other trappers who must be anxiously waiting to grab their shots. The above content gives you a proper insight on the basic turkey hunting gear list that can reasonably prepare you for the adventure-some ride. Moreover, with your experience and behaviour of the target, you can endlessly add to this list, to enhance your skills of turkey hunting. Till then, gear up and set your foot in the woods to trap your best shot!